Add a mirror: Firstly, figure out where the light shines in through the window. 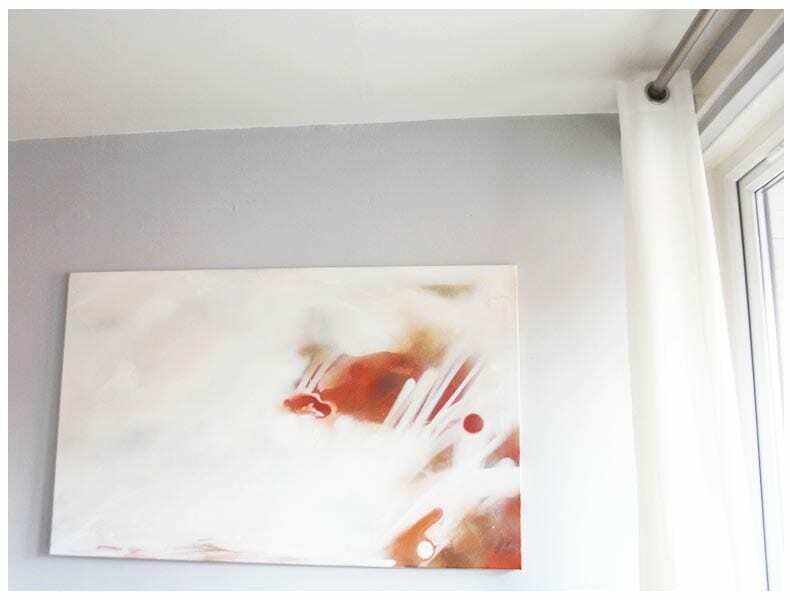 Add a mirror to the wall where the light hits or position the mirror opposite where the light hits to bounce the light around the room and increase the natural light. 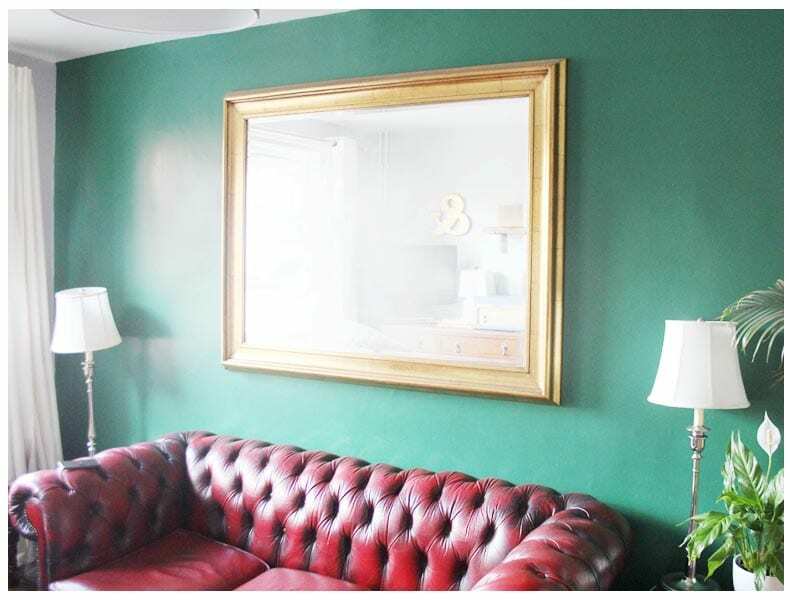 If you love dark paint colours, paint a statement wall and add an oversized mirror to stop the dark colour absorbing the light. Tip If you have a narrow hallway add two mirrors of the same size opposite each other to create the feeling of width and infinity. Declutter: If you’ve spoken to me in the past 6months you’ll know that I keep banging on about decluttering. Mr T and I are working on some pretty major decluttering at the moment, shedding unwanted items, making our home feel more organized and in turn, much lighter, calmer and easier to clean. When surfaces are clear it allows light to bounce around and help the flow of light to travel around the room. 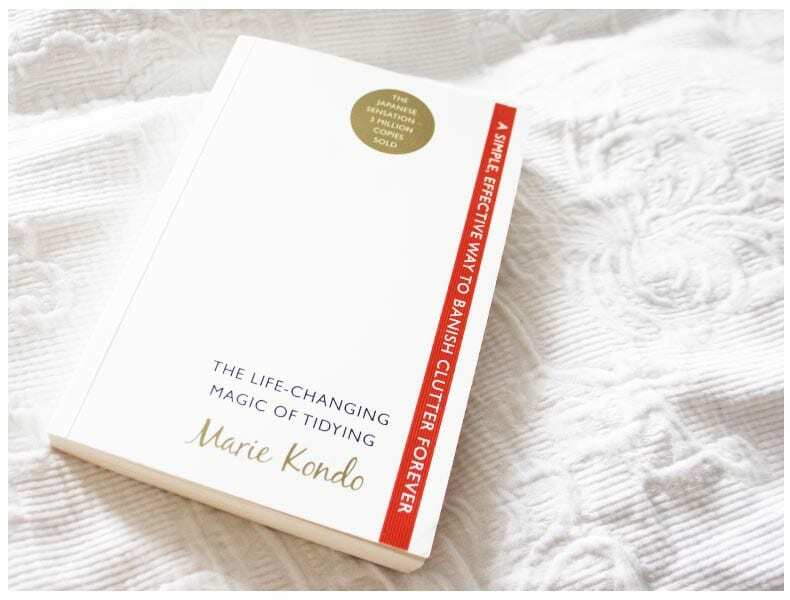 Tip If you need any decluttering inspiration, I can’t recommend Marie Kondo’s ‘The Life-Changing Magic of Tidying’ highly enough! Window treatments: Heavy window treatments and thick curtains will absorb lots of the natural light available. Light colours and lightweight fabrics will allow for privacy whilst still allowing that all important natural light to fill the room. Depending on your budget you could also get wooden window shutters, which would also do the job. If you prefer a flush, minimalist look then you could try VELUX window blinds, the range at roofblinds.co.uk could offer the perfect solution. Be transparent: Using glazing in and around your exterior and internal doors will allow light to flood the house. You could try using frosted or tinted glass for privacy. The style and age of your home may sway your choice when it comes to glazing, particularly external glazing. If you live in a period home, you might opt for stained glass or if you’re in a more modern build you might want glass that’s a little more contemporary. Consider materials: Consider the materials you use around the house to help to reflect light around. 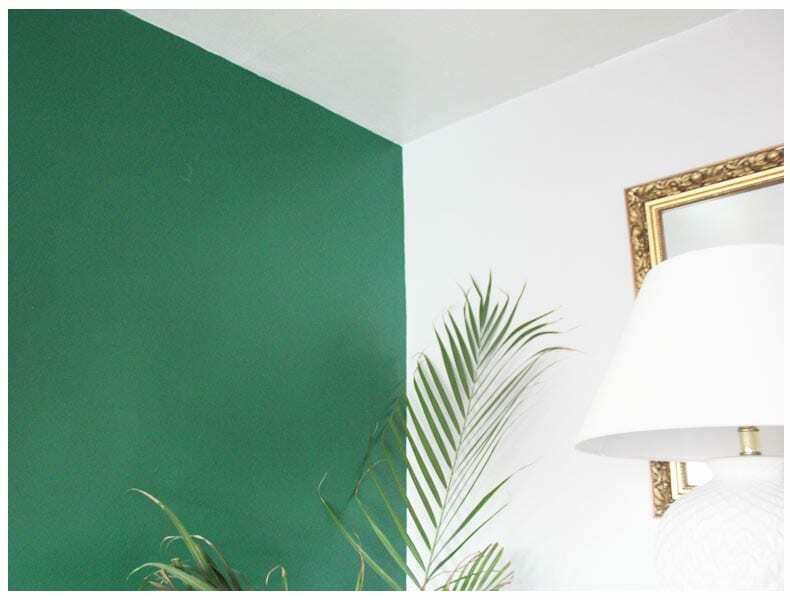 Much the same as a mirror, you could try incorporating surfaces that will bounce light around rather than absorbing it. Consider materials such as high luster fabrics, marble and glass or opt for a large painting that offers light and gives a feeling of space. 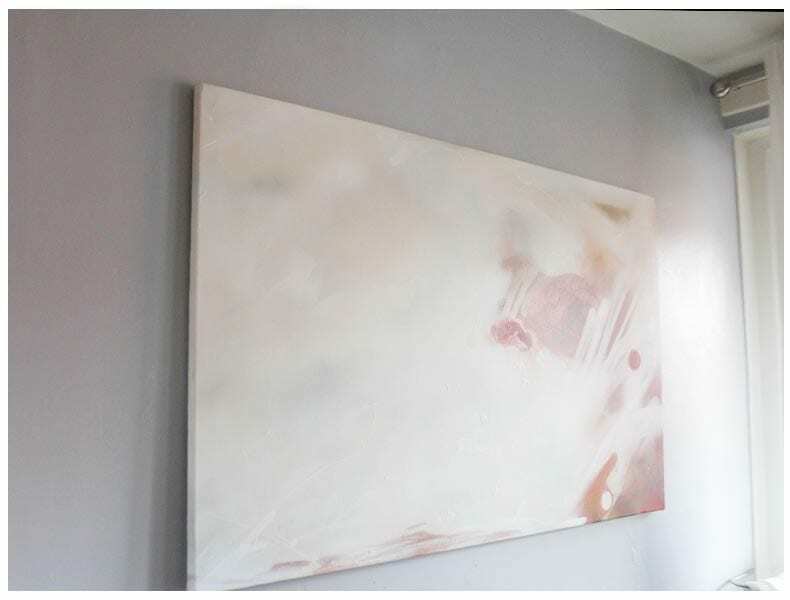 We were very lucky to receive this large abstract canvas from our friend Toby Curtis which really bounces the light around above our dining table and make the room feel much lighter.